Photo by Hayley Hamilton Cogill. From Thanksgiving to New Year's, Pinot Noir is the perfect pairing. Quite beloved, though quite finicky, Pinot Noir is ideal to pair with your Thanksgiving dinner and through the holidays. Here are a few California options that should have a place at your table, some sent for editorial consideration. I’ll have a selection from Willamette Valley and beyond up tomorrow. 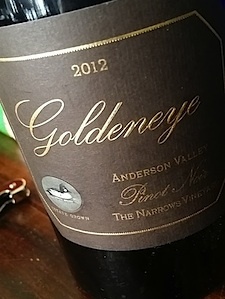 Rural Anderson Valley in Mendocino County, CA shines with high-quality Pinot Noir. Vineyards lay in the midst of unmanicured, overgrown brush, and rocky hillsides, making just getting to the vineyards half the fun of growing fruit here. The payoff is worth it as producers gravitating to the region know, like Twomey, Maggy Hawk, and Goldeneye, who has called this region home for the past 20 years. Fel Savoy Vineyard Pinot Noir leaps from the glass with black cherry, citrus, spice and herbal notes that are soft and savory. $70. 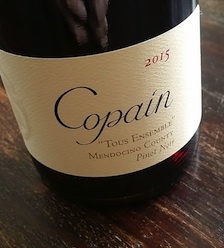 Copain Wines celebrates the earthiness and density of Anderson Valley in their wines from the region, as well as their Tous Ensemble from Mendocino County melding fruit from throughout the region. With rose petal, red cherry, and berry notes, and 13.5% alcohol (low for some California wines), this is an easy option for the holiday meal. $28 at Spec’s. Just below Anderson Valley in the Sonoma Coast AVA MacRostie produces their Goldrock Ridge Pinot Noir. Luscious, bright and fresh, layering blueberry and black fruit with purple flowers and earthy tobacco. $56. 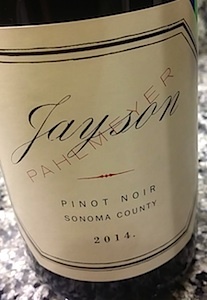 Also from the Sonoma Coast, Pahlmeyer crafts their Jayson Pinot Noir which is earthy with hints of dried herb, pomegranate, and slate. Expressive and opulent, the wine ends with a long, inviting finish. $50 at Dallas Fine Wine. Cool-climate, maritime influenced Pinot Noir from Russian River is some of the best from California. Wild strawberry and violets highlight Gary Farrell Russian River Pinot Noir melding with touches of cola, black tea, and spice. $45 at Spec’s. Wind Racer Russian River Pinot Noir showcases the beauty of the land, layering blueberry and black licorice with crushed stone notes. $50. 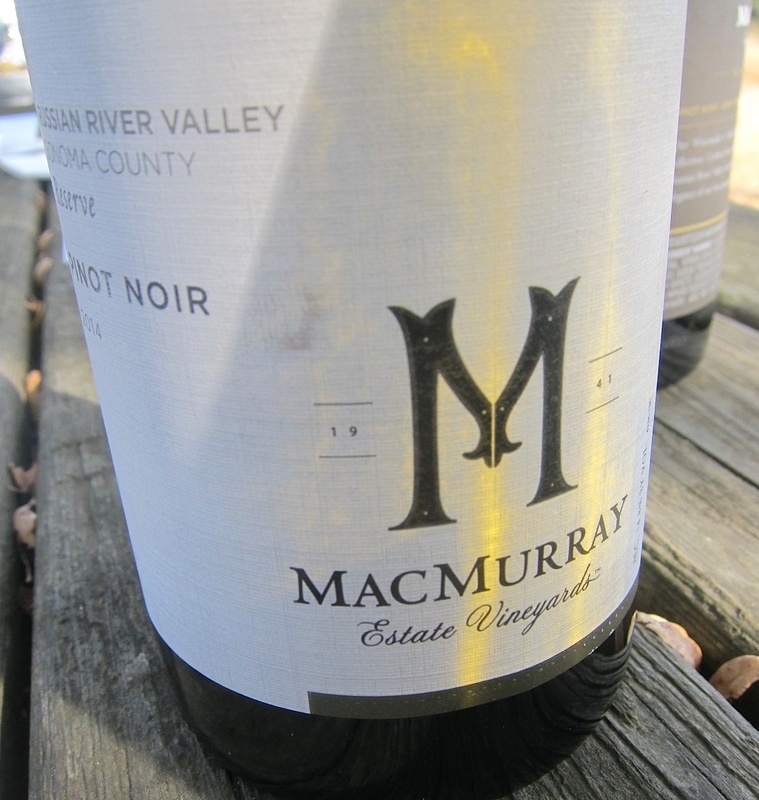 MacMurray Estate Russian River Reserve Pinot Noir is filled with dark fruit, wildflower, and herbs, with just the right amount of oak to add texture. $43 at Spec’s. In Carneros, Starmont Stanly Ranch Estate grows Pinot Noir with concentration and character. Black tea, tangerine, cherry and cranberry fill the palate of this lovely, lively wine. $65. Spec’s carries Starmont Carneros Pinot Noir, $25. 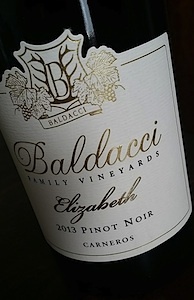 Also in Carneros, Baldacci highlights the freshness of the Bay breeze influenced region in their “Elizabeth” Pinot Noir. $40 at Total Wine. California’s Central Coast, where light breezes from the Pacific meld with cool morning fog, is home to some of the most exciting Pinot Noir wines in the state. The wines of Sea Smoke offer texture, complexity, and a delicate touch. Their current 2014 Southing Estate Pinot Noir from Santa Rita Hills in Santa Barbara County reveals cherry, dried fig, lilac, and violet notes. $60. 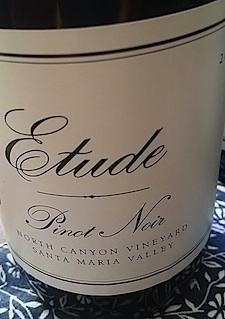 Etude Winery is perhaps best known for their stellar plum, cranberry-and-cherry filled Grace Benoist Ranch Pinot Noir wines from Carneros. But their single vineyard Fiddlestix Pinot Noir, also from Santa Rita Hills, is truly something special. Slightly restrained, it’s an Old World-style from California. Santa Maria Valley, also in Santa Barbara County, is home to the Etude North Canyon Vineyard Pinot Noir. Raspberry and blackberry fill the palate of this fruit-forward option. Each $45. Pogo’s and Spec’s. From the Adelaida District of Paso Robles, Adelaida Estate Pinot Noir melds chalky earthiness, ripe fruit, and a hint of smoky spice for a food-friendly Pinot Noir. $30. Byron Wines has produced wine from Santa Maria Valley since the 1980’s, with their focus recently shifting to single vineyard, small-lot wines from distinct Santa Maria Valley vineyards, and Santa Rita Hills. Byron Nielson Vineyard ($45) from warm Santa Maria Valley shows off ripe fruit and spice notes. 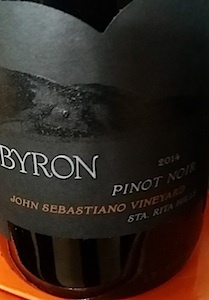 Cooler Byron John Sebastiano Vineyard Santa Rita Hills Pinot Noir ($55) from 100% Pommard clone is much earthier, filled with crushed stone, black plum, and sage. Goody-Goody carries Byron wines.